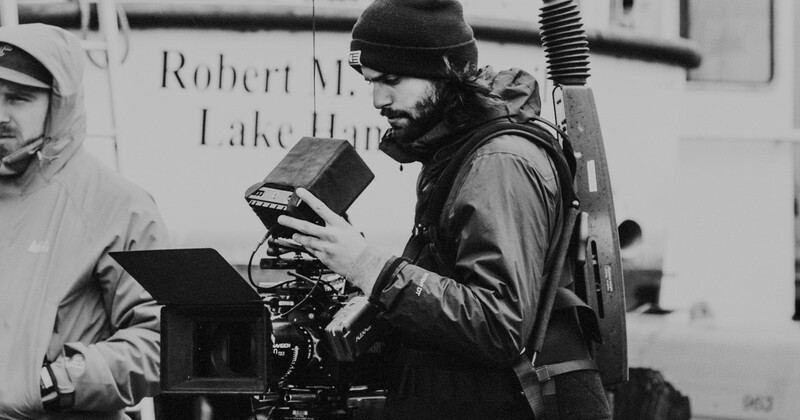 Roger Deakins said, “People confuse ‘pretty’ with good cinematography.” In a way, he’s saying cinematographers’ work is more important than simply the look of a film. It serves a greater cause — the story. In fact, the visual side of a film, ‘pretty’ or otherwise, can tell a story as much as a script can. 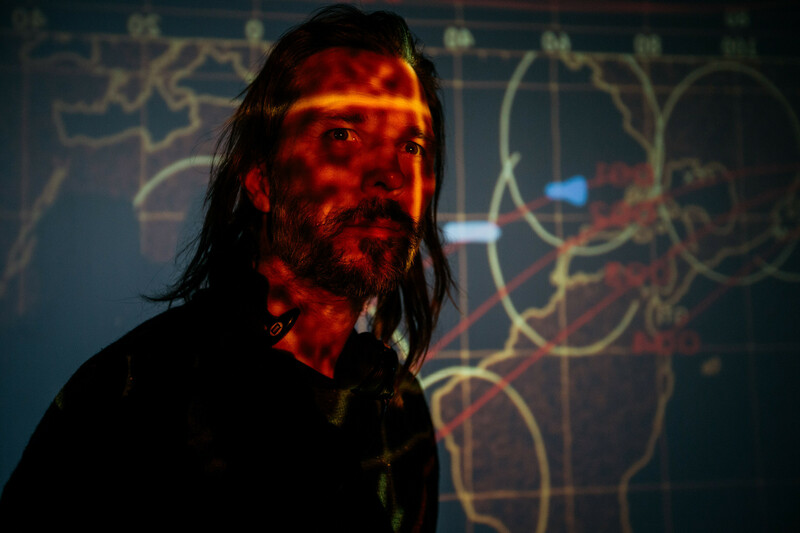 When we spoke with Oscar-winning cinematographer Linus Sandgren about his work on First Man, he had much more to say about the story and emotion of the film than any camera equipment. 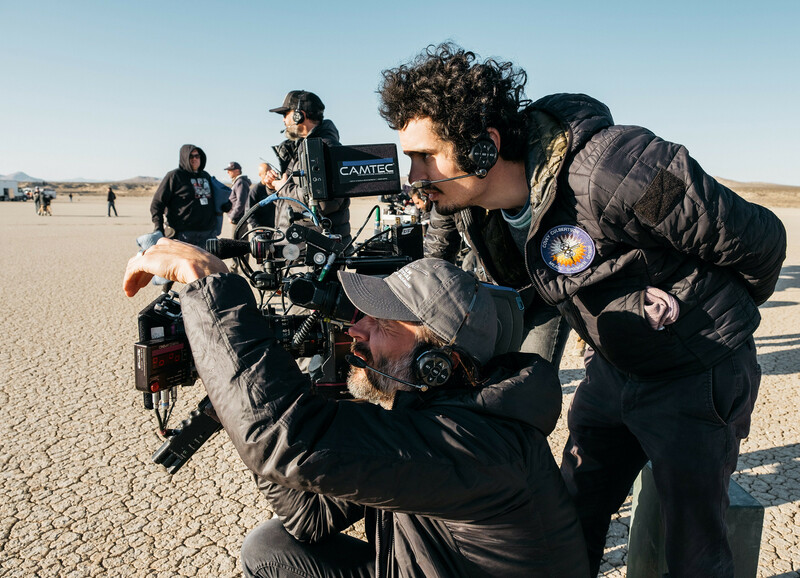 As a collaborator with David O. Russell, Damien Chazell, and more, he’s worked closely with visionary directors to create a visual style that ultimately serves the film. Is it a coincidence that a technical genius who puts story first is one of the most respected filmmakers in Hollywood? We think not. 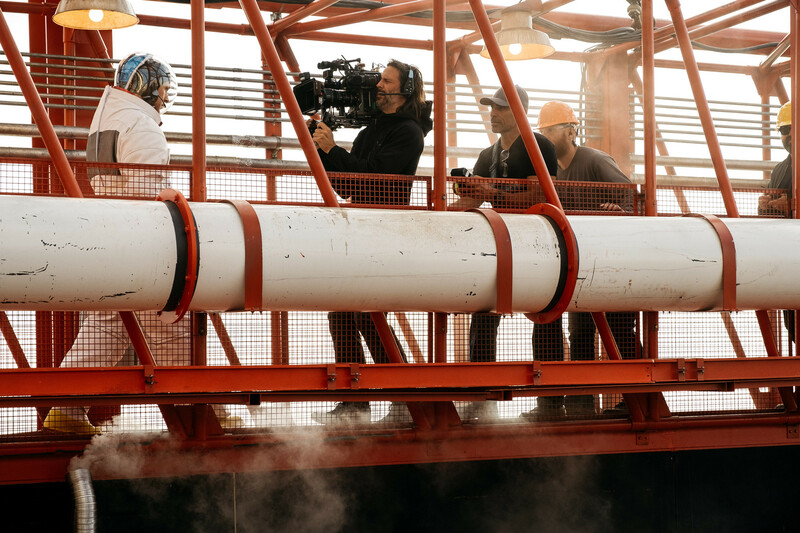 Musicbed: What were your thoughts about the First Man script when you read it? Linus Sandgren: I thought the story was very emotional. It was layered in so many different ways. I haven’t done a space movie, so that was obviously a positive for me, but it wasn’t just a story about space. It’s more of a film about grief. It was extremely emotional for me, especially because I have daughters myself and I felt connected in that way. I love that [Neil Armstrong], despite his grief and loss, kept working hard for this extreme achievement. There are so many layers to this film, between the intimate story and the very grand story. The fact that we could work with this microcosmos and this huge, actual cosmos was very intriguing to me. When did Damien Chazelle approach you about it? I was working with Damien on La La Land when he mentioned this film. I was in that whole whimsical world of that film and then he approached me about this thing that was completely different. He wanted to take the film in a direction that was almost a documentary, more of a cinema verité style. It was amazing to me that this same director doing huge camera moves on La La Land wanted to go in a completely different direction. How did you begin to hone in on a visual style? Well, we talked at first about cinema verité. I remember we watched The Battle of Algiers, which is very realistic. It was made right after the actual battle of Algiers, so it had a very authentic feel to it. He wanted the approach to be this very emotional cinematography that was very intimate. We felt like the starting point for the film was 16mm handheld with a zoom, more like one cameraman running around capturing everything. For me, it’s important to make these decisions from the script and not just come up with these decisions because you like the way it looks. It’s about how the story is best told. For the earth story, it was important for me that it felt authentic. We didn’t want any dolly shots and really didn’t want much artistry shown — more natural light sources and using lights that were in the room. We did some tests with 16mm and we felt like it created a more emotional connection with the face and also felt like it gave more of an authentic 1960s look. 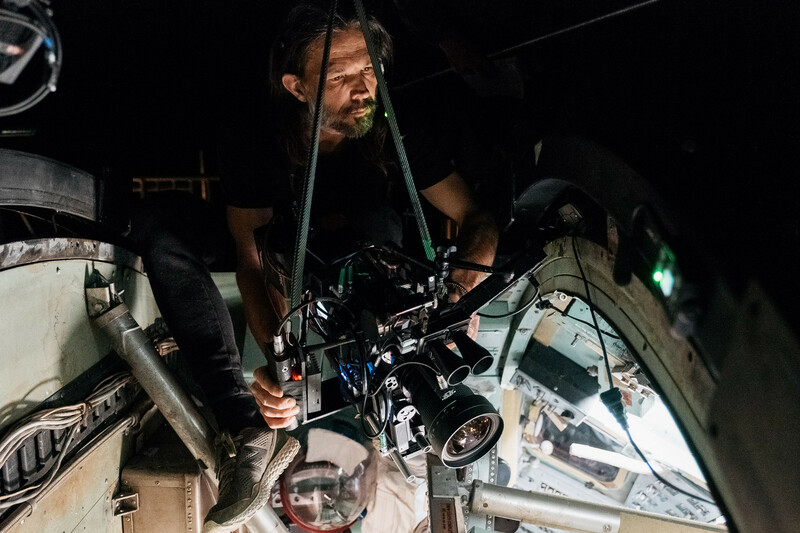 As soon as we went with 35mm in our cockpit tests, for example, it felt much more like a “movie.” It took away this feeling of immersion and the emotion in the characters’ faces. We needed that grit, we felt, and we really just trusted our instinct. It created such a striking contrast with the moon landing scene. We felt that 16mm represented the human side of the story and IMAX represented the inhuman side of the story because it’s so far away, so clean, and so crisp. We felt like it was interesting for the moon scene because you want to feel like there’s nothing there, that it’s just a surface of shimmering gray. So, that became emotionally interesting to us to give the audience that shock of experience, going out into this serene world. Everything changes. You have this serene world, a faceless astronaut, and that’s all there is. It’s so different from the human picture that you get on earth and it raises questions. Is it worth it? Is your family worth more than the achievement of landing on the moon? I think that it’s important to let your audience come up with the answers. 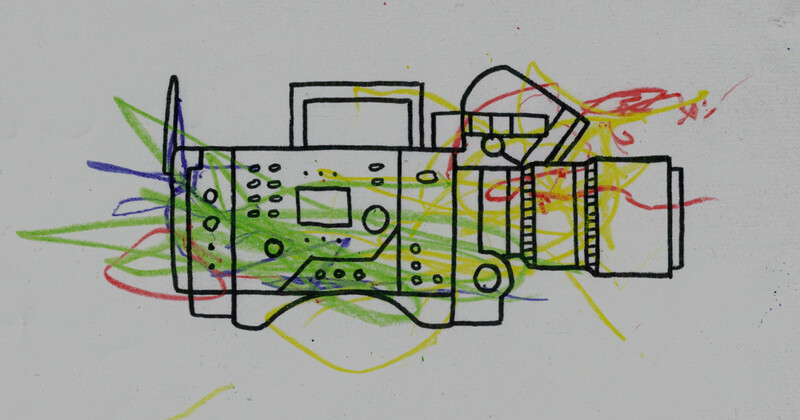 Did you have particular visual rules for the film? Yeah. The general rule was that it should feel authentically 1960s, be intimate, and emotionally connected. That’s why we had this documentary-style approach. As filmmakers, we were considering ourselves as just capturing this story more than making a film. We had to be there with the family while they’re going through this. So, because of that, we couldn’t be on a dolly track or use cranes. We couldn’t just put the camera anywhere we wanted. We had to pretend we were sensitive to what was going on in the scene, so perhaps we couldn’t be in a perfect position all the time as well. Whatever the choice, there must be a reason. Why is it a dolly shot? Why is it not a crane? There needs to be a reason for every last detail of the shot. How do you create suspense from those choices? It was about giving the audience the chance to see it the way it must have felt to be there, enclosed in a little spinning capsule. Damien was very careful about doing things in an authentic way, so we had to go to our tech supervisors and study a lot of literature about the speed of rotation and what direction the planes would be turning. From there, we came from this emotional mindset of how it would feel to be there. It really had to do with making the audience feel the claustrophobia of being locked in. As far as framing goes, if you cut to a wide shot of the capsule, we felt it would take away the sensation of being there for real. The less you see, the scarier it is. If you don’t see where the craft is when you’re docking, it’s much scarier. You need to understand where that tension comes from, too. I remember in Battle of the Sexes we had this discussion. Some films have shot tennis in the same way you would shoot a car stunt — cutting to a bunch of different angles to make the audience feel like it’s going violently through town. But, in tennis, it’s not about the ball flying fast across the court; it’s about the game. It’s 15-0 or it’s 40-0 or it’s match point. That’s the suspense. An easy mistake to make is giving the audience cool shots of the action instead of thinking about what the actual suspenseful moments are in the film. It’s more suspenseful to not see things. Were you surprised by what you were able to capture with this documentary style? There were a lot of memorable moments. For example, when you’re alone with an actor. I love operating the camera in scenes that are emotional. When I was alone with Ryan [Gosling] in the scenes where he has to be with his grief — it’s just me and the focus puller — those moments are very special. When you get to be a part of that, it’s just a very beautiful moment to be in. How do you get emotionally tapped into a film like that? 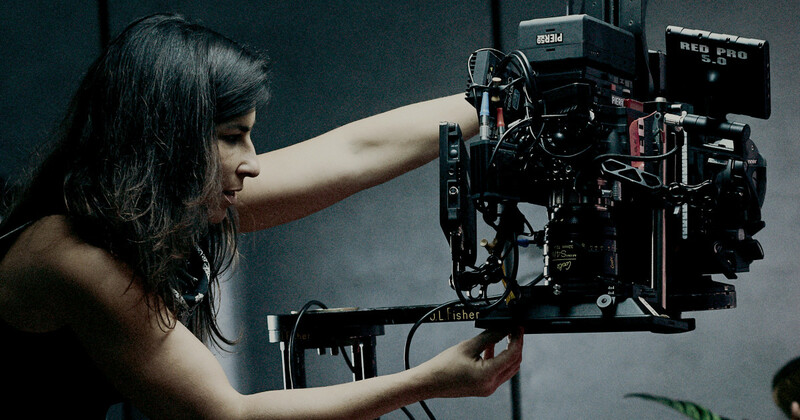 I think there’s so much work in prep that you need to do that isn’t related to the camera and lights, but more has to do with your collaboration with the director, working with the actors and reading the script. Before I start a job, I need to have a curiosity about the film and I need to feel like there’s something I can contribute to the project. Without that, it’s hard to be emotionally attached to it. There were quite a few things that intrigued me about this project. How do you recreate this experience of going into space, but also do it in an authentic way? That was the biggest challenge and hopefully, it doesn’t show. It felt like we were just there with our cameras, shooting it for real. Photos courtesy of Daniel McFadden/Universal Pictures and DreamWorks Pictures.